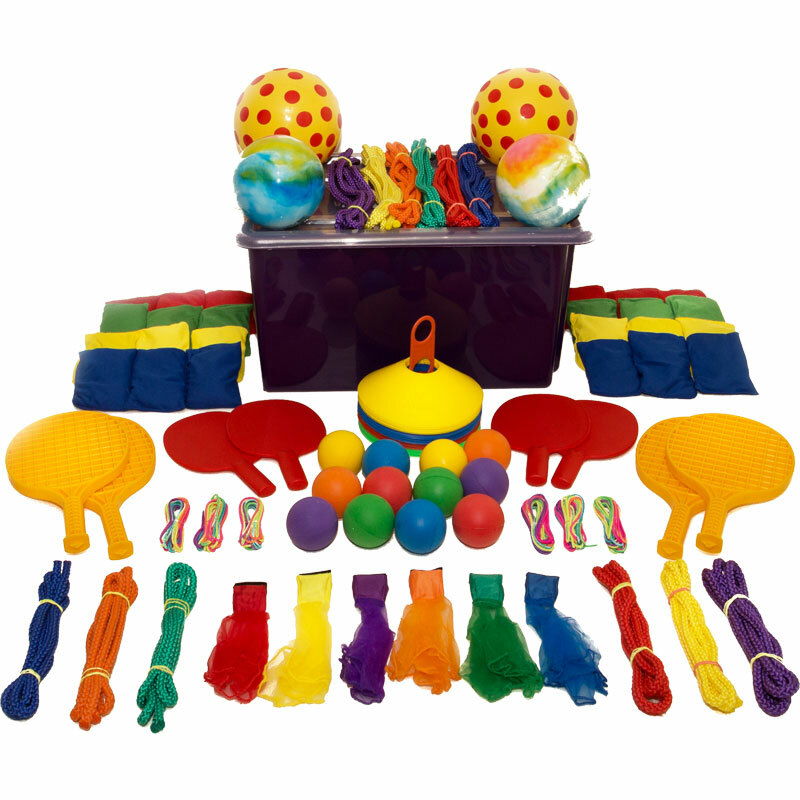 The First Play ® Playground Activity Tub contains enough equipment to keep over 50 children entertained whilst developing key skills such as throwing, catching, kicking, jumping and hopping. Supplied in a storage box with a lid. 12 x 7cm Rainbow foam balls. 2 x 2m Skipping ropes. 6 x French skipping ropes. 6 x 3m Skipping ropes.